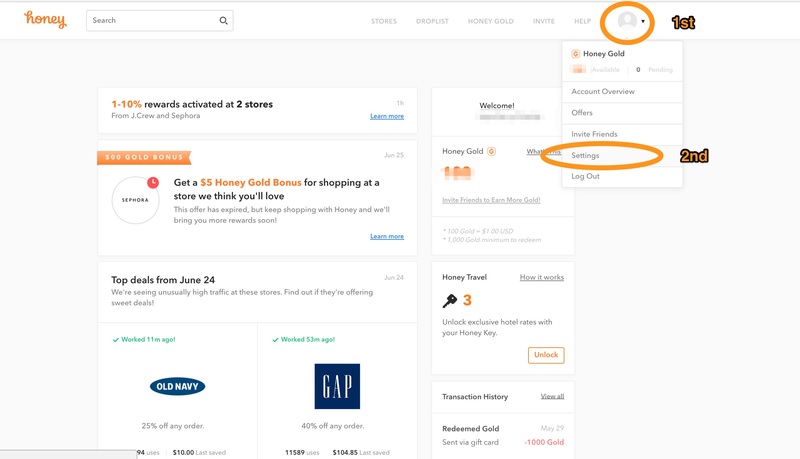 By default, Honey may occasionally send you emails for Droplist notifications, account updates, feature announcements, and special offers. If you no longer wish to receive these emails from us, you can update or unsubscribe from Honey emails from your Account Settings. To access your email preferences, click on your account avatar in the top right corner the browser window on joinhoney.com. Select Settings from the drop-down menu. Next, select the Emails tab. To unsubscribe from a particular email, click the button next to the email type to toggle it off. The button will turn grey when the selection is off. To unsubscribe from all emails, repeat this for each notification type. 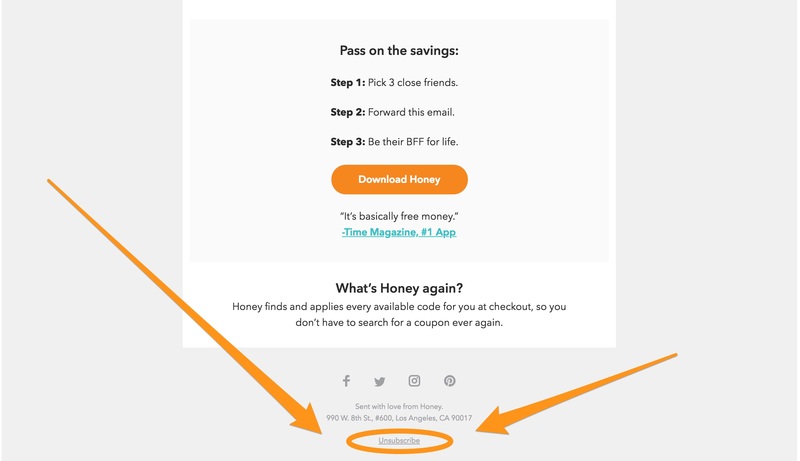 To access your email subscriptions from a Honey email, click the Unsubscribe link located at the bottom of each Honey email and follow the steps detailed above. If you need help unsubscribing emails from your account, reach out to us. Note: Unsubscribing will not affect your ability to receive gift cards or messages from our Customer Experience team. Can I use Honey on multiple computers? Why haven't I received my e-gift card? What is my Account Overview?